"Heat flows from a warmer to a cooler body, except in the case of a cat, in which case all heat flows to the cat." Brrrr...we have frostbite warnings for today and the temps will barely get out of the teens. 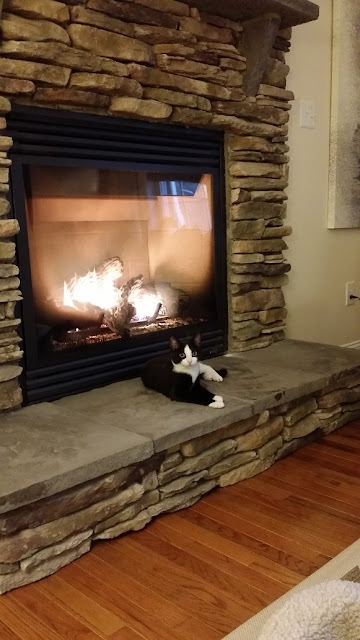 I don't know how he does it, but Leo LOVES to lay right in front of the fire. Occasionally, me or my husband will sit on the stone hearth to warm up after a chill, but we can only take a few minutes of it as it gets HOT. Neither Chaz or Miss Thang does this, but Leo seems to relish in roasting himself for as long as he can take it. 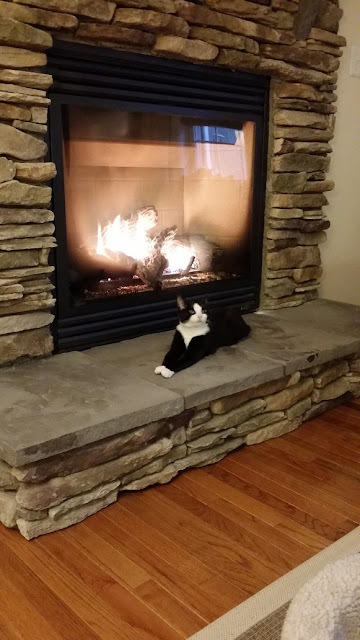 I half expect to smell burning fur at any time.